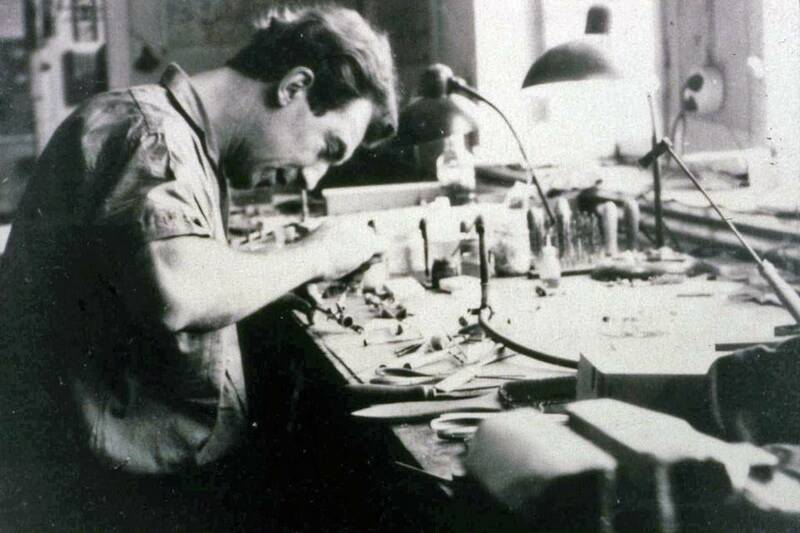 Founded 1954 in Hamburg as repair workshop for endoscopes, today Olympus Surgical Technologies Europe is the European development and manufacturing center for medical technology within the Olympus Corporation. A look back at the milestones of medical innovations across the decades. In its early years, the small repair workshop for rigid endoscopes quickly becomes a manufacturing company with its own endoscopy range. This does not go undetected, even in distant Japan. 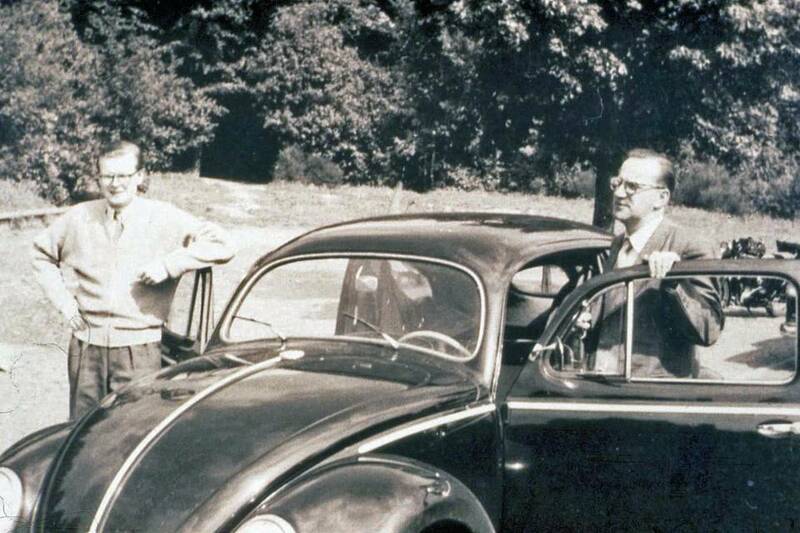 Rudolf Winter (right) and Wolfgang Ibe (left) found the "Medizintechnischen Werkstätten Winter & Ibe" (Winter & Ibe medical engineering workshops) in Hamburg with four employees. The first registered office is Wandsbeker Chaussee 68/70 in the east of the Hanseatic city. What initially started just as repair workshop for endoscopes evolves quickly. Alongside the repair business, development of their own product line of urological endoscopes advances. 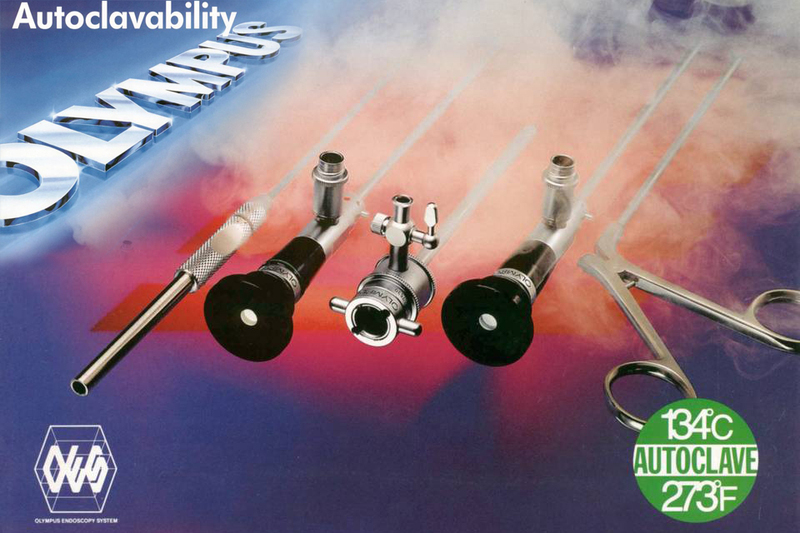 In 1960, the first complete product range for urological endoscopy is introduced. These endoscopes still have a low-voltage lamp to illuminate the body cavity, in accordance with the state of the art of the times – arthroscopes, laparoscopes, and gynecological endoscopes are to follow. The first complete urology range using glass fibers as the lighting method is introduced. With this innovative technology, the light from an external light source is reflected in the body using glass fibers. This is the first time that there has been sufficient light available to observe the body cavity. This new technology represents a major boost for the entire field of endoscopy because photo, video and later real-time recordings are now possible and can be diagnostically analyzed. The products are in demand around the world. Now with 25 employees, the company generates over one million German Marks in annual turnover for the first time. In the early 1970s, the conventional lens systems in endoscopy are replaced by so-called "rod lens systems", which significantly improves optical quality. In close collaboration with research institutions and a leading German optics company, the company's own rod lens system is introduced – the CONTUR TELESCOPE. In order to make treatment of prostate adenoma particularly effective, a resectoscope with continuous irrigation is developed. 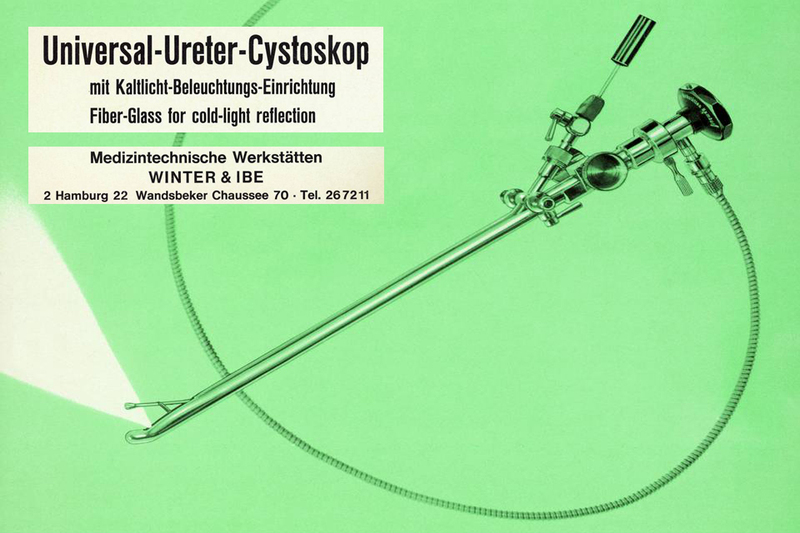 The resectoscope is continually developed over the course of the decades and is still a success story in urology today. 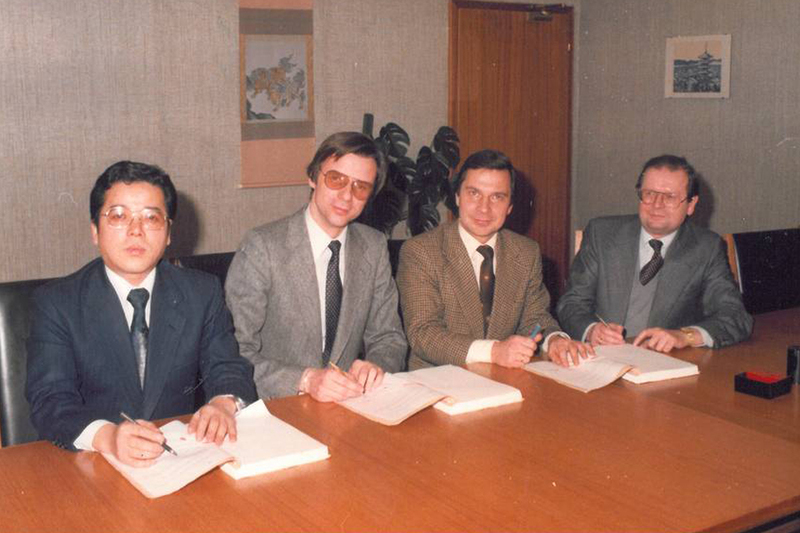 A research and development cooperation that started in 1974 becomes a majority interest of the Japanese Olympus Corporation in 1979. 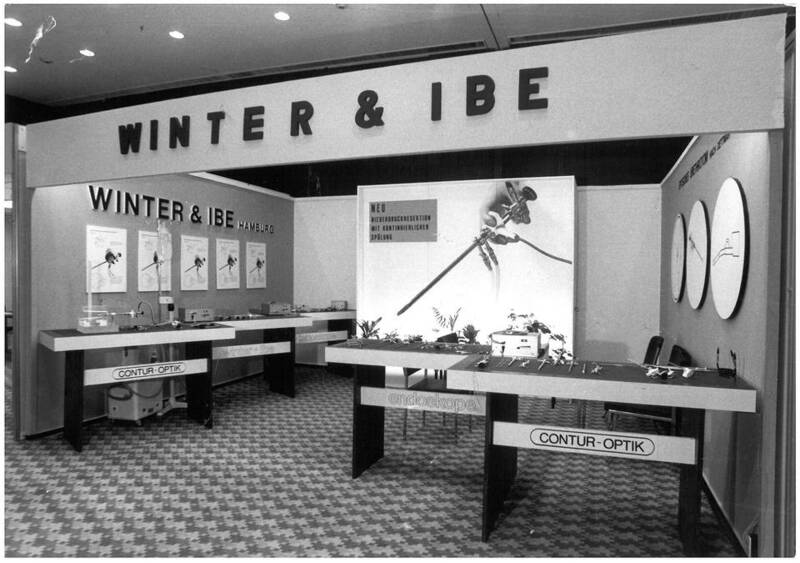 "Olympus Winter & Ibe GmbH" represents the start of an internationally successful combination of advanced Japanese optical technology and German precision mechanics. From this time on, the jointly developed optical systems are marketed worldwide under the brand name "Olympus". There are also benefits for manufacturing thanks to the new partnership: elements of manual production are converted to industrial production. 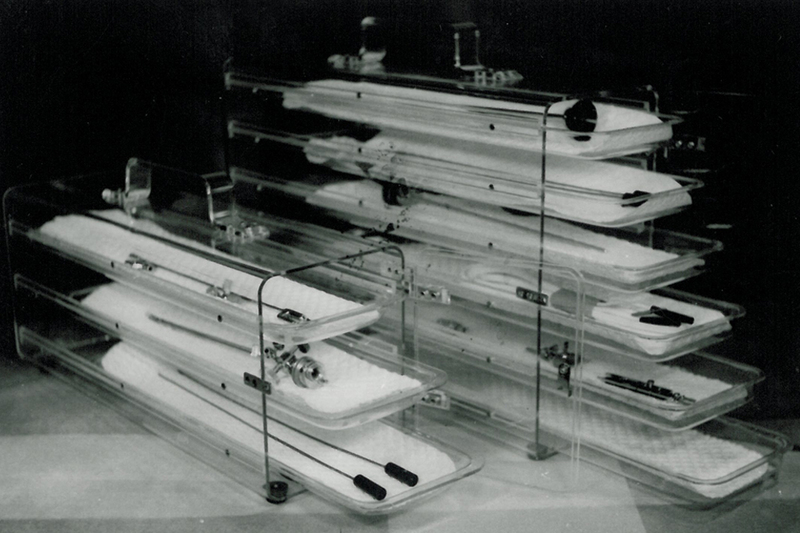 Cutting-edge, flexible assembly systems create the conditions for manufacturing a wide range of models economically, even in smallest quantities. 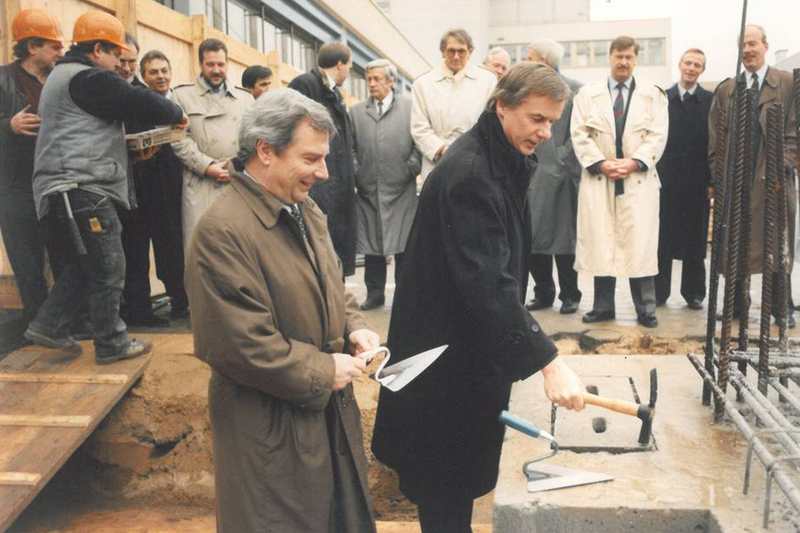 The German-Japanese partnership bears its first fruits. The company expands in Hamburg and presents groundbreaking product innovations. 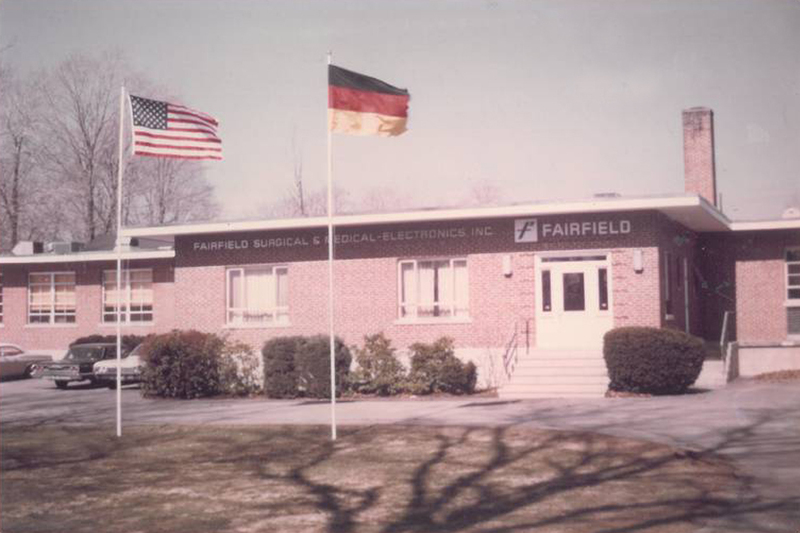 A new development and manufacturing complex is moved into in Hamburg-Jenfeld (current headquarters). Operational areas and production systems offer optimal conditions for further developing the company's market position. The company now employs around 100 employees and generates an annual turnover of over ten million German Marks. These numbers multiply in the coming decades. Olympus develops the world's first autoclavable telescope in arthroscopy. 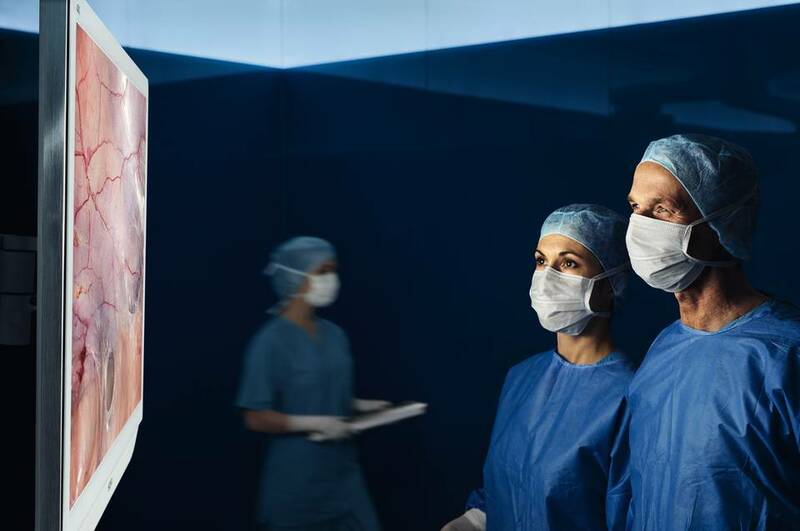 What was previously seen as an unattainable vision of hospital hygienists, becomes a reality thanks to Olympus: an endoscope telescope that can be steam sterilized without shortening the product life. Today, the use of autoclavable telescopes is possible in almost all typical application areas of rigid endoscopy. The company continues to grow and obtains new operational areas at the headquarters along the “Kuehnstraße” in Hamburg. New technology that was previously only used in Japanese Olympus plants is also introduced for the first time. New product innovations are quick to follow. Olympus presents the world's first autoclavable video endoscope with chip−on−the−tip technology. This new video endoscope does not use the classic lens system, because the various components of the video chain (light guide, camera) and the CCD video chip are already built-in. The chip-on-the-tip technology therefore makes it possible to capture images of unparalleled clarity and resolution that make even the smallest details visible. The ENDOEYE is continually developed over the course of the decades and is still setting the standards for medical imaging today. The 2000s are also characterized by growth – with strategic acquisitions and further expansion of the product range to more than 5,000 medical devices. For the reprocessing of flexible endoscopes, Olympus Surgical Technologies Europe together with long-term cooperation partners develop a special device for safe and effective cleaning and disinfection – the Endo Thermo Disinfector (ETD). The ETD-3 introduced in 2003 is continually developed over the course of the decades and is specifically oriented towards the user's needs. 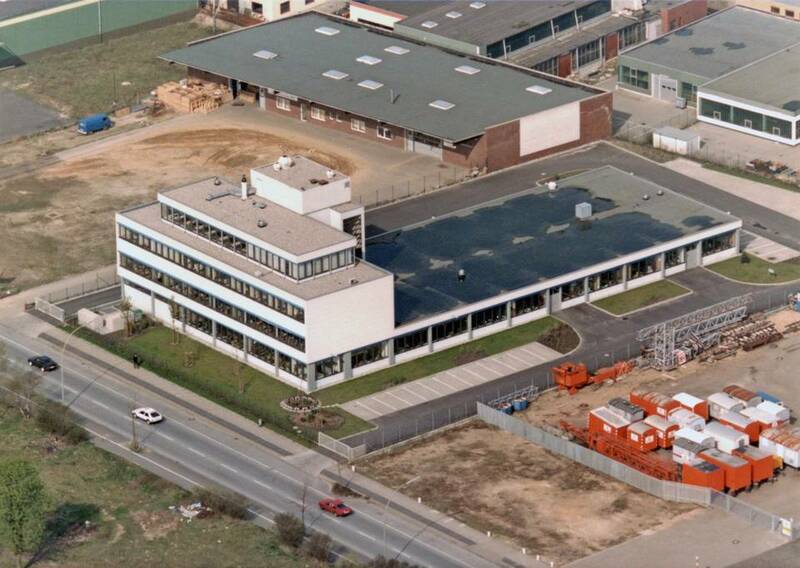 Founded in 1999 as Celon AG (in Teltow near Berlin), our Berlin location has belonged to Olympus Surgical Technologies Europe since 2004. The site develops and manufactures minimally invasive medical technology with high frequency technology and contributes years of experience as well as many international patents. 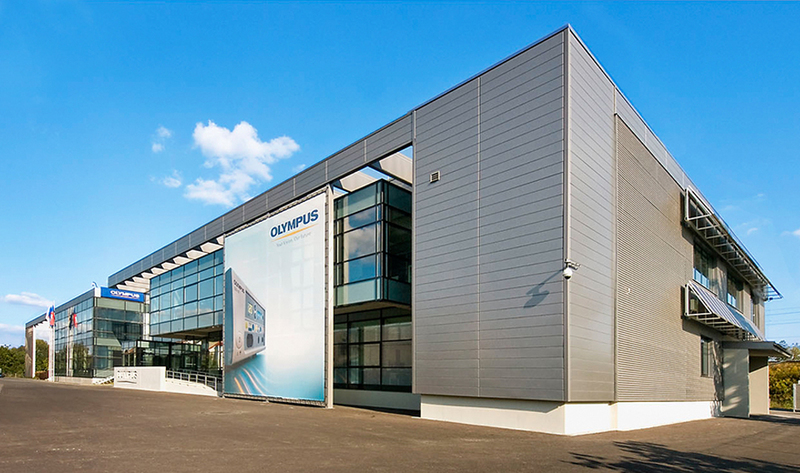 Today our Berlin site is the global Olympus competence center for bipolar high frequency technology. The TURis plasma vaporization electrode combines the advantages of vaporization with bipolar resection for the first time. Urologists are therefore able to remove excess prostate tissue quickly and efficiently while simultaneously gently sealing the surface in order to minimize bleeding from the outset. 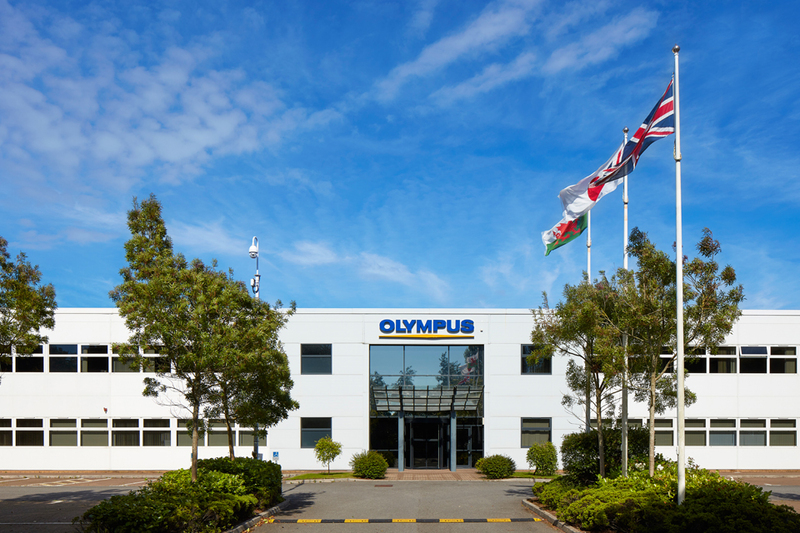 Founded in 1989 as Gyrus ACMI, our location in Wales has belonged to Olympus Surgical Technologies Europe since 2008 and it expands our range of so-called "see and treat" solutions for minimally invasive surgery. PK technology is used in both diagnosis ("see") and treatment ("treat"). Healthcare professionals and Olympus colleagues from around the world have also been trained at the Olympus Medical Training Center in Hamburg since 2008. 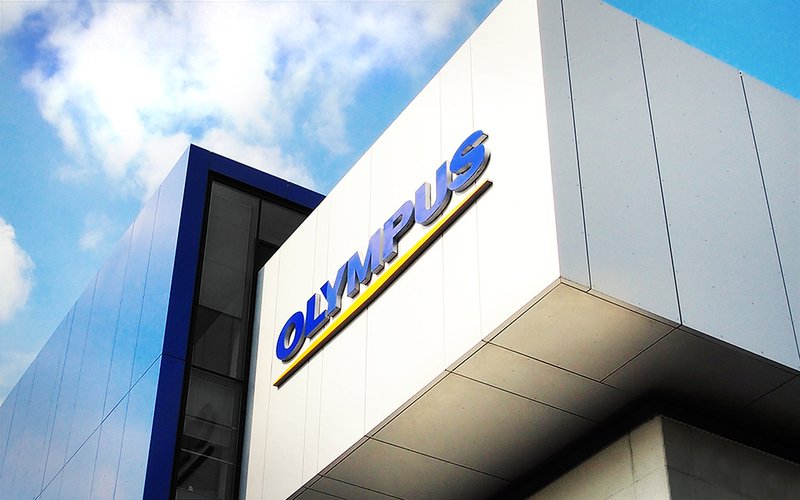 In 2009, one of the most modern Olympus production plants in Europe is established in Přerov/Czech Republic. Our Czech location offers a highly modern production environment with automated and manual production lines, laser applications, clean rooms and partially-automated packaging lines. 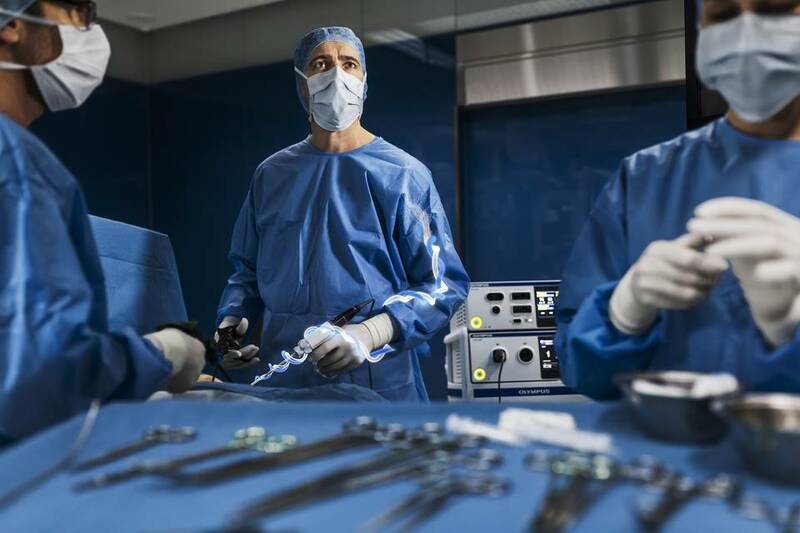 The European group of companies "Olympus Surgical Technologies Europe" with its headquarters in Hamburg is formed in order to ensure sustainable growth in the future and to compete on the market with all the advantages of a global player. With this formation, Olympus strengthens one of the key competence and business areas in medical technology – bipolar high frequency surgery. THUNDERBEAT combines the advantages of ultrasound and bipolar energy in one device for the first time. By using two energy forms simultaneously, the benefits of both can be applied: reliable vessel sealing with the latest bipolar high frequency technology, fast cutting and precise tissue dissection with ultrasound. Olympus has made this possible with the THUNDERBEAT system. 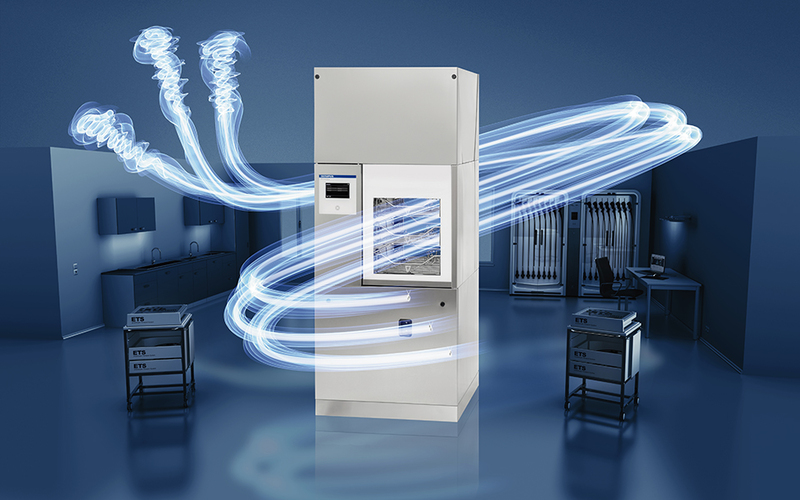 The ETD Double is the first washer-disinfector by Olympus based on the pass-through concept and is the quintessence of decades of experience in the reprocessing of endoscopes. 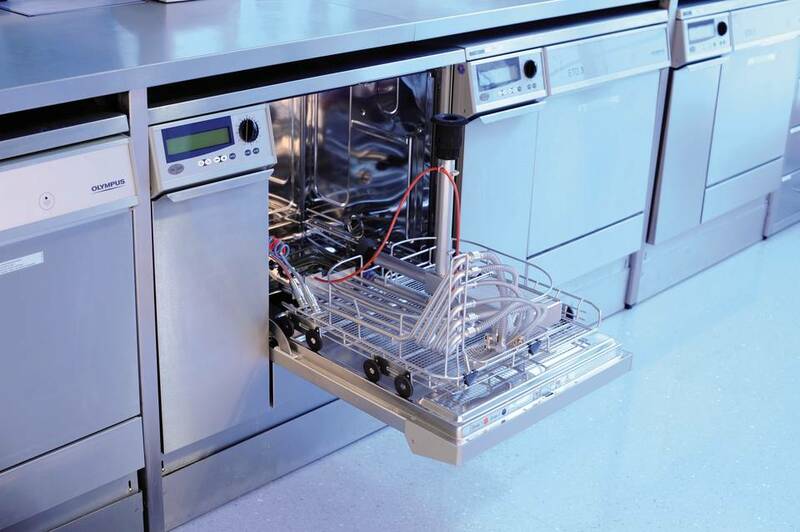 The double-door model provides a strict separation between the clean and unclean sides – for the highest standards of endoscope hygiene and patient safety. In fall 2015, Olympus starts by introducing the high-resolution video system VISERA 4K UHD. This extraordinary video platform offers an image resolution four times greater than HDTV, so even the finest tissue samples and structures in the body can be viewed precisely. The new ULTRA telescopes with 4K technology set new standards in rigid endoscopy. 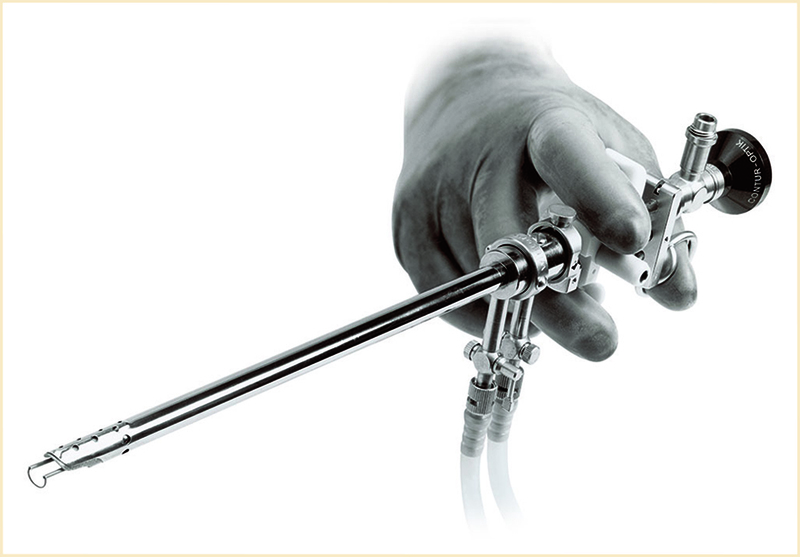 Olympus Surgical Technologies Europe is an established name on the global market for minimally invasive surgery. Today, a total of 1,700 employees are working on increasingly efficient and gentle procedures for detecting diseases earlier and for treating them more effectively – a number that is set to increase. Want to shape the future of medical technology? We look forward to hearing from you!